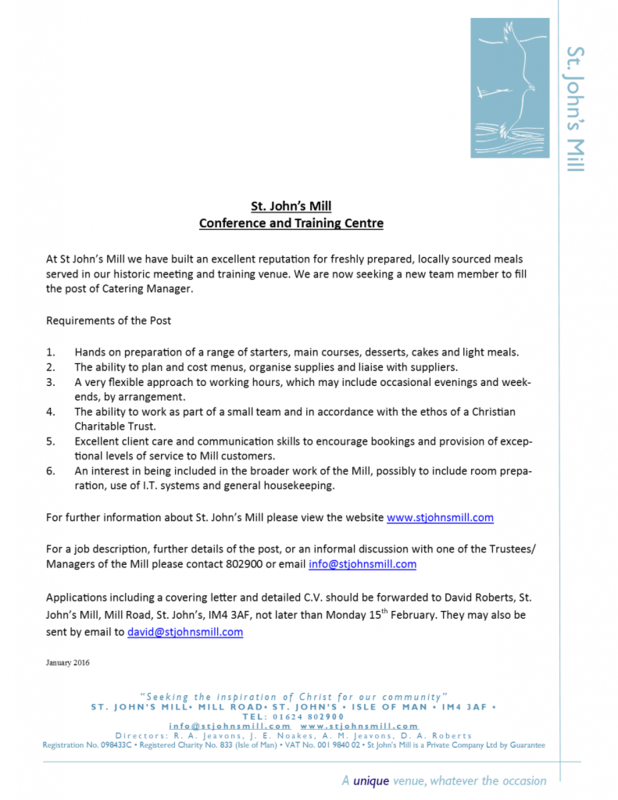 St. John’s Mill is seeking a suitably experienced person to fill the post of Catering Manager. Key to the post is the ability to work very flexible hours. For full details see our website or Facebook page, or call the office on 802900. Closing date: Monday 15th February 16.